The Kemah APH-522 tiny home features a covered front porch, tile flooring, pine accents, decorative barn door, window coverings, and kitchen appliances. This park model RV home includes one bedroom and one bathroom is 399 square feet. The open-concept layout and high ceilings give the home a very spacious feel. . 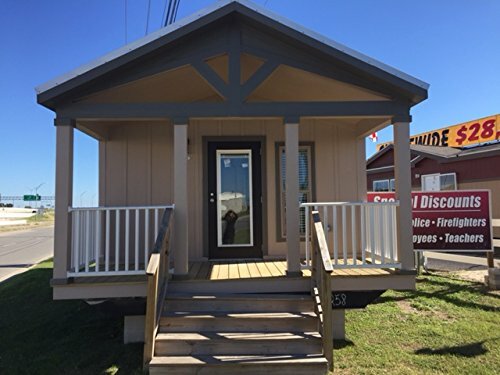 The Kemah APH-522 tiny home is perfect for everyday living, a vacation cottage or a weekend retreat. 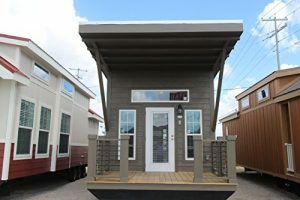 The Kemah tiny home is 399 square feet with one Bedroom and one bath. Includes covered front porch, tile flooring, decorative barn door, pine accents, window coverings, and kitchen appliances. Open-concept floor plan, high ceilings and ample storage space.